For all those seeking to reclaim their innate and legal right to care for their own dead, create home funeral vigils, and choose greener after-death care options that are less toxic and more sustainable for the earth. 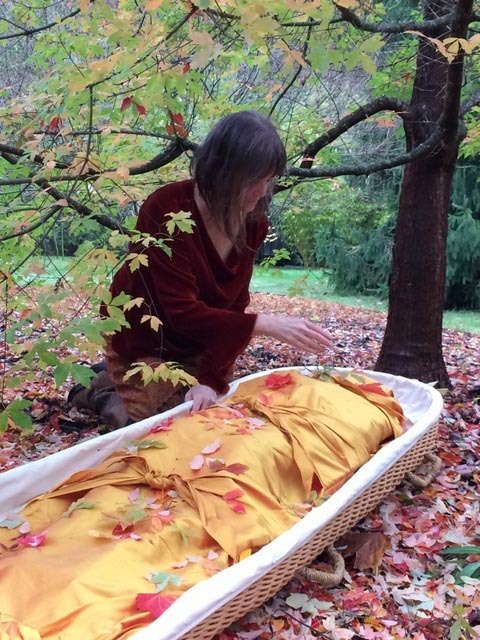 Reimagining Death reminds us of the sacredness of death itself, and the gifts of partnering with nature when we die. The book offers compelling stories and practical guidance, as well as a 16 page color insert of photographs, which can help families discover more life-giving and healing ways to say good-bye. Home vigils and more natural after-death care practices are changing the paradigm of the existing funeral industry. These ways of “greening death” can help us transform our heavy thought forms of fear and denial about being mortal, and weave living and dying together again in creative wholeness. It is possible to care for one’s own dead, as a family and community. This is our innate right, and a sacred and healing act of love. It is legally possible to create after-death vigils and keep a loved one’s body at home for up to 3 days. Some states require the assistance of a funeral director; most do not. Your final act can protect the earth and the environment if you choose more natural and sustainable after-death options, such as green burials and carbon-offset cremations. 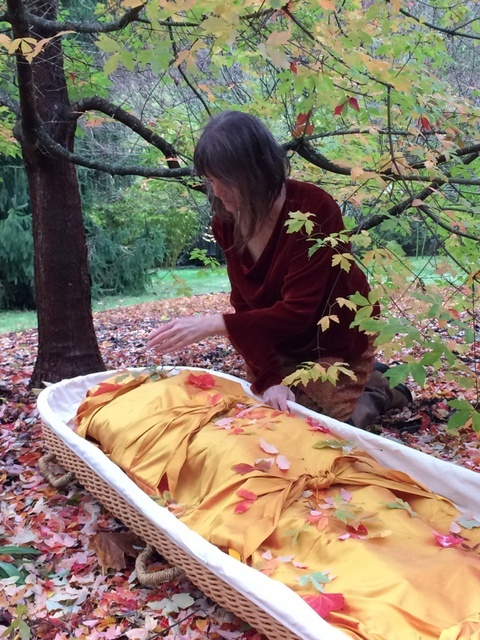 I am a trained Home Funeral Guide with over 20 years of experience, a Green Burial Consultant and a Licensed Funeral Director in Washington State. I help others imagine and put in place their “ideal” after-death plans, so that at the time of death, those wishes can be realized, and family and friends left behind are empowered to say good-bye in natural and healing ways. I am an ordained minister and celebrant, and received my Masters in Inter-faith Spiritual Direction from David Spangler’s Lorian Center for Incarnational Spirituality. I trained as an Anthroposophical Waldorf Kindergarten teacher as well, and for twenty years helped children, families and communities “Live a Spiritual Year,” celebrating festivals together through the seasons. I am a student of both Western and Eastern spiritual traditions (Anthroposophy, Dzog Chen and Tibetan Buddhism, Celtic Faery Faith/Ceile De and Incarnational Spirituality) and I have forged my own authentic path from such immersion. I take joy in helping others develop authentic spiritual practices and ceremony – in life and in death – ones that express individual and collective creativity, sacredness, connection and wholeness. (See individual tabs on menu above this page for a more detailed description of my offerings).